We are expanding! 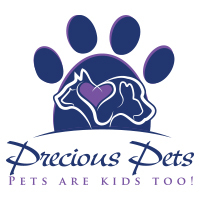 We are seeking exceptional pet sitters to add to our team in the Cobb County, GA area. Visits for each client are generally 1-4 times a day for 3-14 days. Dog visits are approximately 30 minutes 2-4 times per day. Cat visits are approximately 30 minutes 1-2 times per day. Visits can happen between the hours of 6 am and 11 pm. There is also the potential for overnight visits. Must be available Christmas and New Year’s as well as most other holidays. Must be 25 years of age. Must live in of the zip codes listed above or a zip code bordering one of the listed areas. Must be a US citizen or have legal working documentation. Must speak, read, and write fluent English. Must have some experience with dogs and cats but also be open to other small animals and fish. Must not be allergic to animals or their dander. Must be willing to clean up feces, urine, and vomit when necessary. Must be looking for a long term position. We are looking to build a staff we and our customers can rely on for years. Must own a smart phone with internet and email access. Must own an insured, reliable vehicle, have a valid driver’s license, and be willing to undergo a DMV check. Must be punctual, responsible, and organized. Must be reliable and honest. Must be alert and aware in a client’s home. Must be able to lift dogs or other animals which may include bending, kneeling, and reaching above the head. Must be willing to work outdoors in all types of weather. Must be bonded and insured (we will show you how). Must be available for training on our scheduling software, pet CPR, and pet first aid. Must be willing to do a few “buddy” visits to get the hang of the job and expectations. Must be able to provide and train your own backup. As the company grows, we may be able to provide backup out of our team members. As a team member, you will be an independent contractor, which means you will perform work as a pet sitter but do not have the legal status of an employee. Therefore, no benefits such as health insurance, overtime, unemployment insurance, workers comp, vacation time, etc. are available. It is on an as needed basis. There will be the potential for full time hours during the holiday season and major holidays. Being able to work overnights is also a plus! Begins at $10 per visit with the ability to make more with verified experience, after 90 days, on holidays, and with longevity. Independent contractors will be paid every two weeks. Please email us in 50 words or less why you would be the perfect person for this job. Also include the zip code in which you are located and attach a resume with at least two references. We will call to schedule a casual interview after reviewing your application. No phone calls, please. Thank you for your interest! Please email us at hiring@preciouspetscobb.com if you are interested.